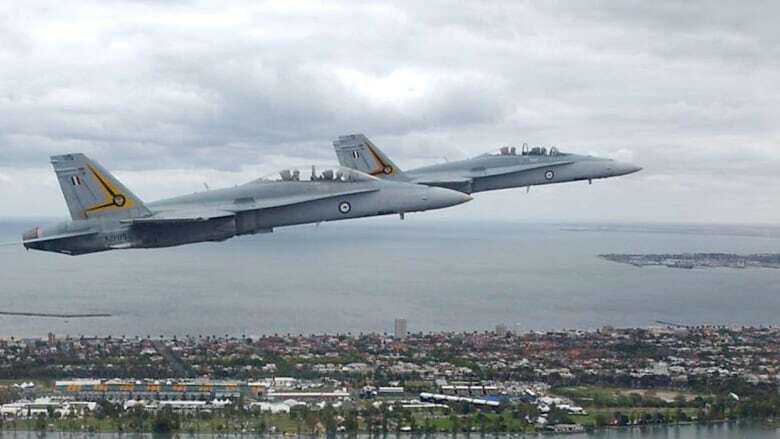 The Canadian government has completed a deal to purchase Australia's old F-18 fighter jets and the first of the 25 used jets should arrive this spring, the Department of National Defence confirms. The Trudeau government announced back in 2017 that it would buy 18 used Australian F-18s as an interim measure to bolster the air force until the entire Canadian fleet of CF-18s is replaced, beginning in the mid-2020s. The other seven Australian jets it bought will be used for testing and spare parts. The Australians had to get permission from the U.S. to sell the planes because they were manufactured in the States, but officials with Defence said the deal between Canada and Australia was finalized in November. News of the official agreement was first reported by the National Post Thursday. Pat Finn, in charge of the materiel branch at National Defence, told CBC News back in February that he didn't expect the first wave of jets to arrive until summer 2019. Officials with DND now say the first two planes will arrive this spring. The department said the first arrivals could be operational by the summer, while a second group of planes could arrive later this year. The Australian aircraft cost about $90 million, but the total cost of the acquisition project (including upgrades, salaries and a contingency plan) will be closer to $500 million. When Defence Minister Harjit Sajjan announced plans to buy Australia's used jets more than a year ago, he also launched a competition to replace the CF-18s, which were originally purchased in the 1980s but have received significant upgrades in the decades since. Canada had wanted to buy brand new Boeing Super Hornets, the more advanced version of the FA-18 and CF-18, but that proposal went down in flames when the manufacturer, Chicago-based Boeing, filed a trade complaint against Canadian aerospace giant Bombardier. Sajjan has said the used jets are needed to address Canada's "urgent capability gap" and that Canada doesn't have enough planes to meet its NATO and North American Aerospace Defence Command (Norad) commitments at the same time.